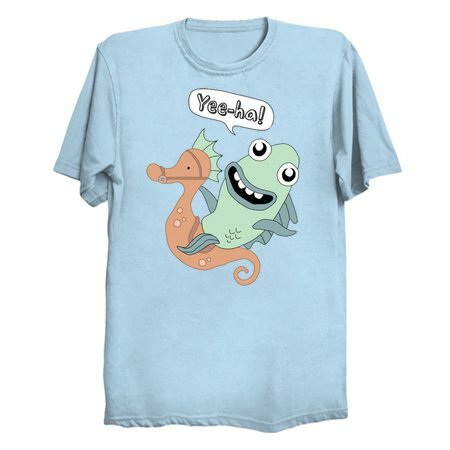 Getting around under the sea doesn’t have to leave you out of breath, if you know how to wrangle a seahorse you can ride in style like a real life oceanic rough rider. 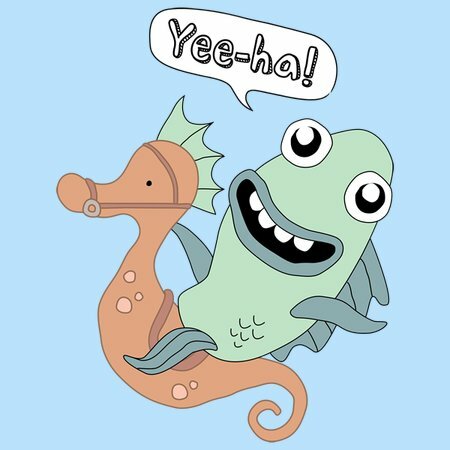 Once the other fish spot you looking all boss atop your tamed seahorse mount they’ll want one for themselves, and a seahorse wrangler can make a mighty fine living busting sea broncos and teaching schools of young fish how to ride. But how do the poor seahorses feel about this fishy arrangement? They’re forming an undersea steeds union, consulting a crabby attorney and suing for a million clams!